In the wake of the synagogue shooting in Pittsburgh, synagogues across western Pennsylvania have been filled with people demanding answers, according to Mitch Tipper, a worker with Christian Witness to Israel (CWI). The attack on 27 October 2018 left 11 Jewish people dead and another seven injured, some critically. 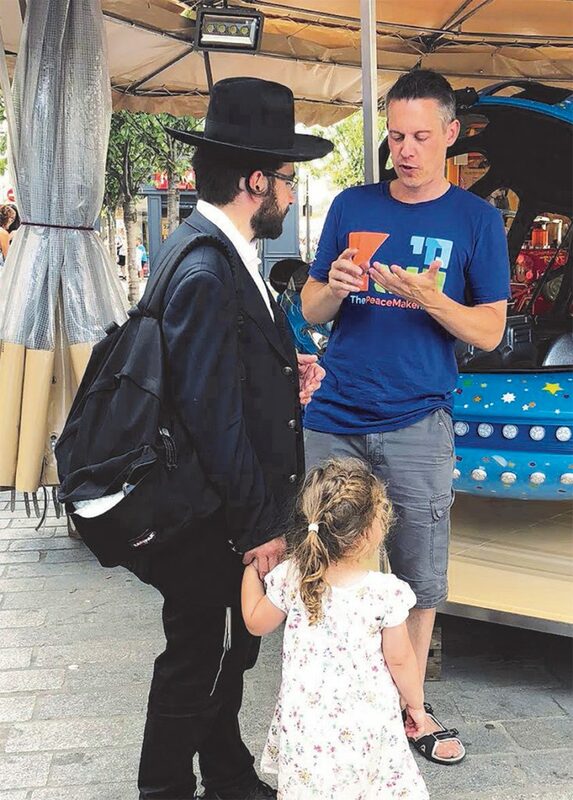 But the tragedy has opened up opportunities for CWI’s team to begin conversations about the Christian faith with many Jewish people, leading increasing numbers to accept Jesus as their personal Saviour. Bebe and her family fled Ukraine to escape the Nazis when she was two years old. She was taken ill on the journey and her spine began to rot, resulting in a hunch back. As Bebe grew older she learned to overcome her father’s verbal abuse. She became a qualified engineer, reasoning that if she was intelligent, people would accept her. However, she later became pregnant out of wedlock, underwent an abortion and was left alone, with no husband or child. In 1998 she travelled to Israel to join her brother, but he didn’t want any contact with her. Happily her niece, a Jewish believer in Jesus, shared the Gospel with her for the first time. A friend put Bebe in touch with Aviel, another CWI contact in Israel, and Bebe immediately expressed her desire to receive the offer of forgiveness of sin through Jesus. She continued to meet Aviel to study the Bible. 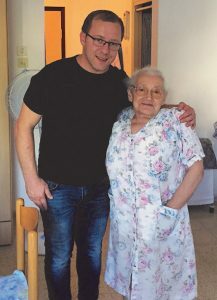 Bebe’s physical limitations meant she couldn’t leave her flat, so she was baptised in her bathroom with water from a saucepan! “Throughout their lives, Alan and Bebe had faced rejection, but their lives were transformed after they found acceptance with God and redemption through Jesus”, says Joseph Steinberg, CEO of CWI. Alan is a divorcee and father of a 14-year-old son. In 2003 he emigrated to Israel and initially found work as a crane operator. However, the construction company he worked for went bankrupt and he was left unemployed for two years. Alan turned to drink and became homeless after his wife divorced him. He began stealing to pay for his alcohol addiction and eventually spent a year and a half in prison for theft. One morning Alan woke up with thoughts of suicide. He decided that if he didn’t meet someone who could help him, he was going to hang himself in the evening. 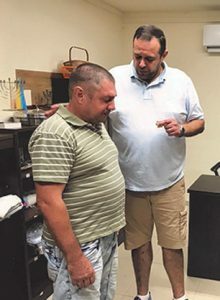 That day he met Igal, a CWI worker in Israel, who related how Jesus had turned his life around. Igal was able to place Alan in a rehabilitation house and two months later, Alan was back on his feet again and working in a restaurant. Later he likened his previous life to “living in the tabernacle” that he had built for himself but now he “wanted to follow Jesus”.